Botox is useful for reducing facial wrinkles that are associated with facial muscle contractions. Its action primarily involves blocking the release of the acetylcholine from the presynaptic neuromuscular junction, thus temporarily paralyzing the affected muscles. Botox has demonstrated a good safety profile, is easy to administer, and is reversible with time. It has been used safely in humans since the early 1980s and has been approved by the Food and Drug Adminstration for cosmetic use in 2002. The effects are usually seen 2 to 3 days after injection. The effect can lasts up to 3 to 6 months. Botox is mainly used for the treatment of glabellar fine lines, crow’s feet, smile lines, and horizontal neck lines, but it can also be used to treat migraine and excessive sweating known medically as hyperhidrosis. The procedure will only take less than a couple of minutes. Dr. Maurizio and Dr. Roberto Viel will at first prepare the skin by cleaning it with an alcohol swab. They will then ask you to frown, smile, or relax, depending on the area or areas that you need the botox treatment. After the treatment, it is best for you not to lie down or do any vigorous exercises for at least 4 hours after the treatment. This is to prevent the botox from going to other muscle areas. It is also important to note that you need to understand that botox injections may not entirely relieve all dynamic wrinkles every time and that the results of these treatments are temporary. Follow-up with our doctors is done 2 weeks after the treatment. 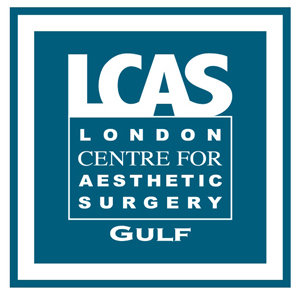 Botox treatment is available in our clinic, London Centre for Aesthetic Surgery Gulf, located in Dubai Healthcare City. 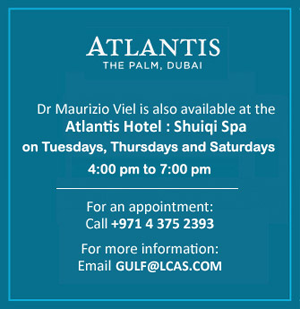 To know more about botox injections in Dubai, click here.